It was a case of ‘third time lucky’. After two cancellations due to extreme heat, the Gawler club finally got the chance to host what was supposed to be Round 3, but turned out to be Round 4. This time around, the concern was more about getting too wet rather than getting too hot, but our luck held. The forecast thunderstorms did not eventuate and the only substantial shower of rain was conveniently timed during the luncheon interval. Unfortunately, the improvised timing of this event — on a long weekend, in a period when Adelaide is abuzz with other attractions — meant there was a smaller than usual field of teams competing. 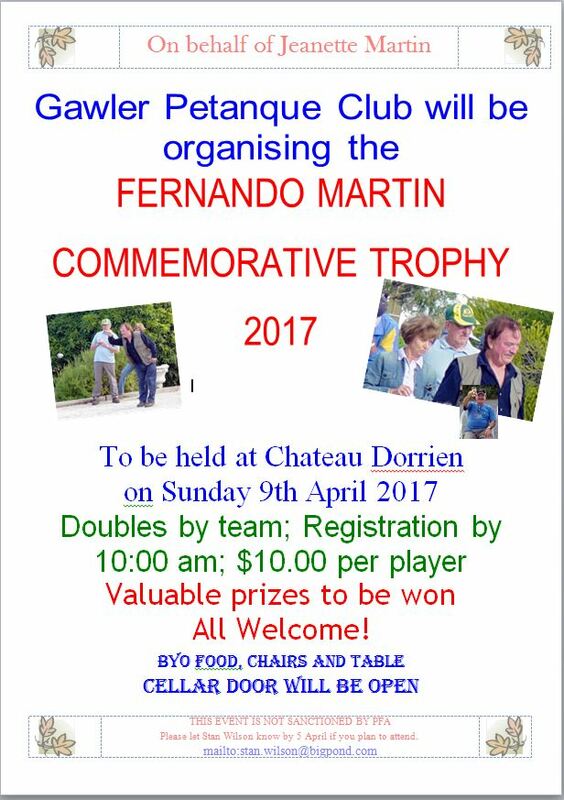 However, with the regular number of championship points still up for grabs, this provided more opportunities for those who did attend. Visiting players were very impressed with the new structures that have gone up since we were last at Gawler. A large verandah and generous shelters between the playing areas now provide covered areas for al fresco dining and, when required, a handy refuge from the sun or the rain. These developments add further amenity to what was already a very pleasant and attractive venue. 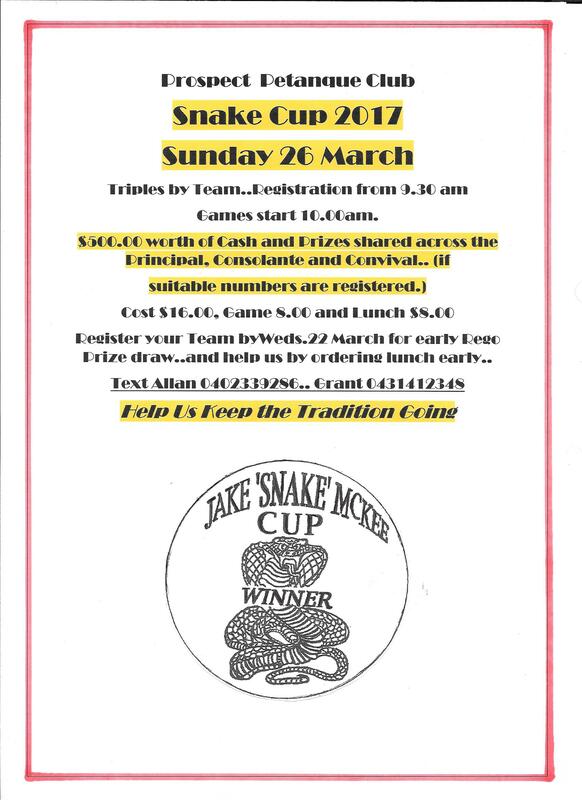 The Snake Cup will be held at the Prospect Pétanque Club on Sunday the 26th of March.